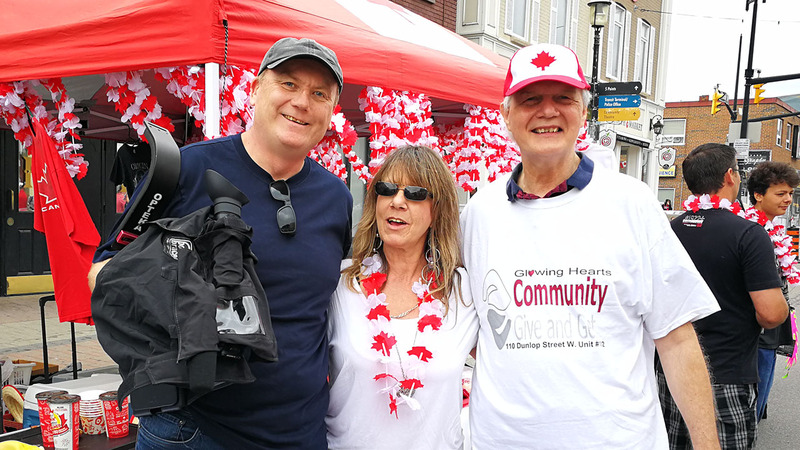 Since it opened about six months ago, the Glowing Hearts Community Give and Get Centre has helped thousands of Barrie’s residents by providing free clothing, household items, and other necessities of life. So, Frank Nelson, the Founder, and Victoria Potter, the Director, used the opportunities provided by the annual Promenade Days event to promote the centre. All labour provided for the event was donated by volunteers, as were our services in the production of this simple promo video. Frank Nelson is an inspiration to many, as he has turned what many would consider a death sentence into a fountain of hope for many local people and families.